Last day in Tokyo, Next stop Kyoto! I'm actually already back in Japan but I'm behind on my posts, as usual. I went over my data limit with the pocket wifi and hotel wifi reception was unreliable so I wasn't able to post fantastic (and large) photos like this, of my donut. 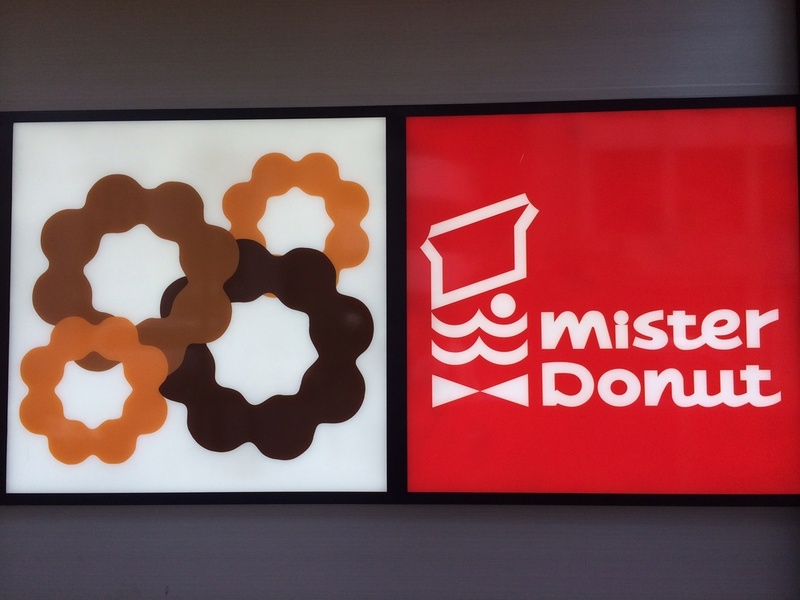 Mister Donut makes the hands-down best donut. Since they're partially made with mochi rice flour, they're perfectly chewy. Also, they aren't too sweet like American donuts. No need to go to Paris for Laduree macarons. Just go to the 2nd floor of Mitsukoshi in Ginza. I don't know how they do it but their macarons are perfectly soft and crumbly without being mushy. And this is my favorite place to rest and check email, the third floor of the Apple store in Ginza. In the summer, it is the only air-conditioned and comfy-seated place (and the only place with free wifi) that won't kick you out. I've seen guys take naps here while they wait for their wives to finish shopping. And view from Grandma's house. We had a family lunch there so I ended up shopping nearby. Since Ginza is within walking distance from my Grandma's house we end up going there quite a bit.